Getting questions fired at me about landing major, brand-changing publicity opportunities is something I have grown accustomed to – it comes with the territory of my “past life” as a PR agency owner in New York City, and my current professional life teaching entrepreneurs around the country to do grow their businesses and share them with the press – and I welcome those questions. After all, one of my favorite things to tell my students about growing their businesses is, “closed mouths do not get fed”, so how could I not expect them? And why would you not pitch yourself to an opportunity that could lead to significant sales, national exposure, and massive new customer acquisition, which is exactly what Tory’s segments bring business owners! Out of all the daily questions and requests, one of the most frequent is: “How do I connect with Tory Johnson’s segments” ask, and is in reference to this entrepreneur/author/speaker/one of my major #GirlBoss inspirations and Good Morning America contributors many opportunities she has created for small business owners to “go big” with their brands. They include her Good Morning America Deals & Steals segments, her product curations on The View, and her Home Shopping Network (HSN) segment, Tory Johnson: Deal Hunter, series. You see, Tory doesn’t just curate cool, innovative finds and deals, she champions small businesses and entrepreneurs in these segments, helping many of them make their mark, taking them on air and into the living rooms of millions of Americans. Now you know that anyone who does that is a hero in my book! But beyond being a small biz supporter, I’m also lucky enough to know Tory personally (fun fact: she was actually the first person to put me on camera a decade ago when I did some PR segments with her for ABC News) and I can attest that she is the kind of gal who revels in support and lifting up other female entrepreneurs up, and pushing them towards their passions, and for that I’m forever grateful. When you know something good, something that could help other entrepreneurs, you gotta share it, am I right? And after getting yet another question about connecting with Tory Johnson I thought to myself, “Well I don’t just know something good about this, I know someone good – the source herself – and I’m going to ask her to tell us just what she wants for her segments.” And so I did. And Tory was more than happy to let you know exactly how to get ahold of you – and I’m talking exactly – from submission location to direct email address. To make the process fast, clear, and simple for you I’ve laid it out step-by-step below. If you truly fit your business is a good fit for her segments (and by this I mean you’ve seen the segment that you want to appear on – if you haven’t, Google it and do so), by all means start connecting with her and her team! If not, I’d still recommend getting to know what Tory does on-air, online and beyond – including her books The Shift and Shift For Good – and letting her life and work impact you in other ways (read more about them below). You’ll thank me I promise! 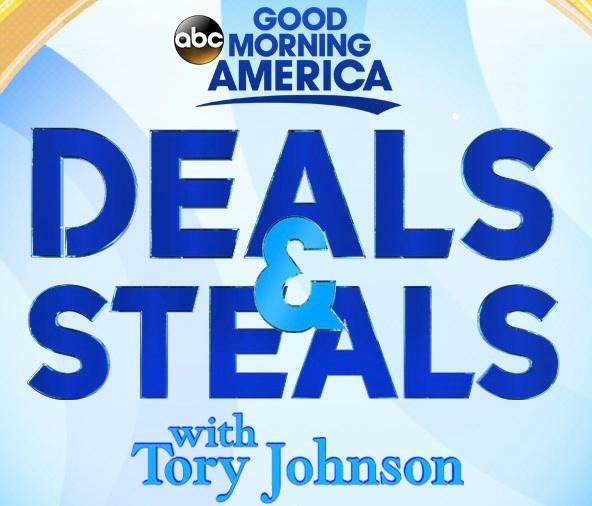 Every Thursday on ABC’s Good Morning America, Tory Johnson’s “Deals & Steals” is must-watch appointment TV. She features five brands and reveals offers of 50% or more off on products that viewers didn’t know they needed until they were wowed by the exclusive one-day savings. Viewers spend tens of millions of dollars annually on the deals Tory promotes. For ABC’s daytime talkfest The View, our team curates a selection of six exclusive deals (at least 50% off) that appeal to women watching at home. Viewers are directed to ViewYourDeal.com to save big on purchases directly from each brand for 48 hours, which delivers terrific national TV exposure, high-volume sales and extensive new customer acquisition to each participating brand. 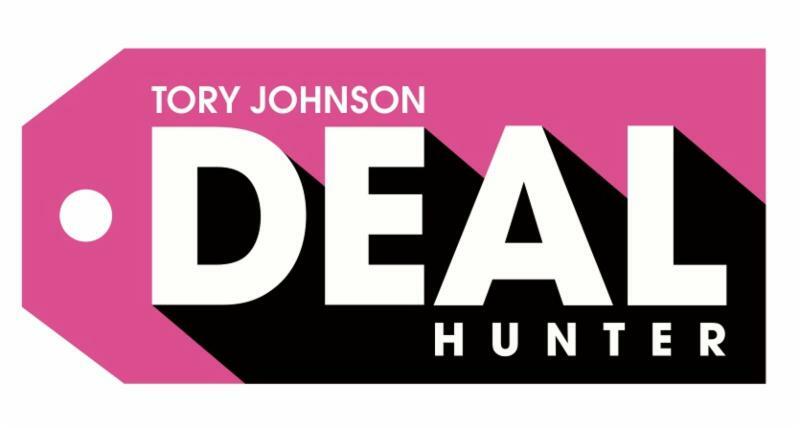 On the second Friday of every month at 10PM ET, HSN features Tory Johnson: DEAL HUNTER. In this hour-long program, Tory introduces seven brands with exclusive savings of 50% off retail. HSN created a fast-track on-boarding process for all of Tory’s chosen brands. Three programs on three exceptional platforms—-opportunities to showcase the best products to national audiences who are ready to shop. We’ll help you generate significant revenue, broaden reach and attract new fans and followers. Include brief background, links or images, pricing, proposed deal (at least 50% off), available inventory and desired timetable for execution. Watch and get to know her segments. How will you ever know if you’re a good fit, if you’re choosing the right products to offer her, if you’re clear on her style and delivery, if you don’t watch them? Haven’t seen them yet? Head on over to the good ol’ Internet and study up! Here’s a direct link to her GMA segments. DVR her regular segments if you can’t watch them live. A big part of PR success – and business success – is doing your research, and this opportunity is no different. Submit your business to their online form. Now hear this: I KNOW you want to just directly email Tory all about your business. And YES I know that she has actually provided her email address (below!) and that of Gianna, her right-hand in the selection process. But guess what? They want you to start on that form. And they read every. single. submission. Tory has assured me of this and it’s a promise! They want to discover amazing offerings and awesome businesses as much as all of you want to be discovered, and they created a process that allows them to do just that – so start there! I included links to each of her segment’s submission pages below for you. As if running multiple brands and businesses (and a family) wasn’t enough, Tory did something very, very big over the past few years…she lost over 62 pounds (!) and lost a lot of other emotional baggage and self-defeating beliefs and behaviors along the way. She told the story of this life-changing journey in her book, The Shift, and if you’re not where you want to be in your life, your business, your health – you name it – I highly recommend downloading this book or reading it the old-fashioned way in print. Her own shift in thinking, and shift in the way her life’s trajectory went as a result of it, will inspire you and leave you with the tools to do the same in your own life. Okay, we’re all developing a bit of an entrepreneurial crush on Tory now, aren’t we? Don’t let it stop here! Keep up with all things Tory, and her steals, deals, and curated finds on social media, because the best way to get to know a member of the media you want to connect with is often to begin following and interacting with them on social media. Find a link to Tory’s social media feeds below.